Lovely gardens and within easy walking distance of beautiful Plum Bay beach. Beautiful hillside villa with panoramic ocean views. 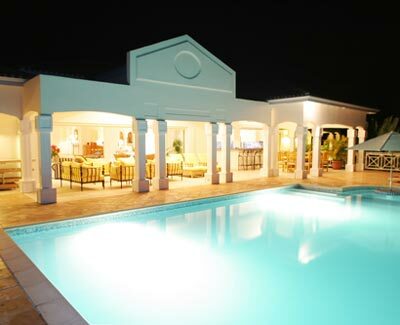 Extensive terrace with large pool with built in table at the shallow end, perfect for relaxing and cooling off. Four spacious bedrooms, large, elegant and stylishly decorated living area, gourmet kitchen. Lovely gardens and within easy walking distance of beautiful Plum Bay beach.